The iStarUSA WN5212DP 52U 1200 mm Depth Dual Panels Rackmount Server Cabinet is built with high-quality aluminum and steel components. Featuring vented doors and cooling fans, the cabinet provides air circulation for servers and other devices. The the front and rear doors, as well as the side panels are fully lockable to prevent unauthorized access. 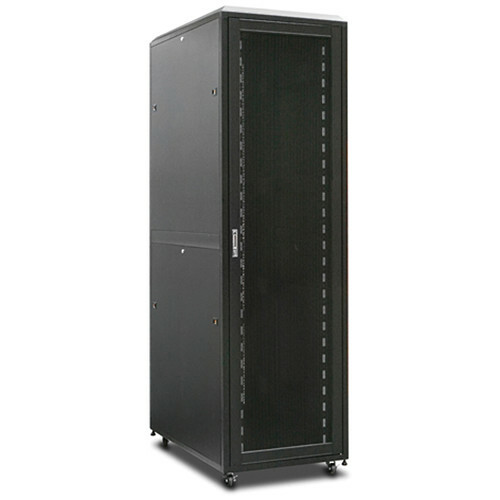 This secure rack-mount cabinet is designed to protect your computer equipment against environmental elements, heat, and dust. Box Dimensions (LxWxH) 108.0 x 52.0 x 42.0"
Note: - not compatible with HP/ DELL/ IBM servers equipped with sliding rails.